A new moon of Neptune has been known since 2013, but sometimes it takes time to formalize a discovery. It was named called Hippocamp. This moon is very small, so it looks like an asteroid. However, it could teach us interesting things about the past of Neptune’s lunar system. Hippocamp orbits only 12,000 kilometers from Proteus, another moon 400 km in diameter. A huge impact crater was observed on the surface of Proteus, called Pharos. We can imagine that Hippocamp was born during this impact. But it is still difficult to observe these complex systems from so far. When the Voyager 2 spacecraft flew over the planet Neptune, it took pictures of a big dark spot at the equator. This dark spot had never been observed before. It was then assumed that it was a perennial phenomenon, like the big red spot of Jupiter. 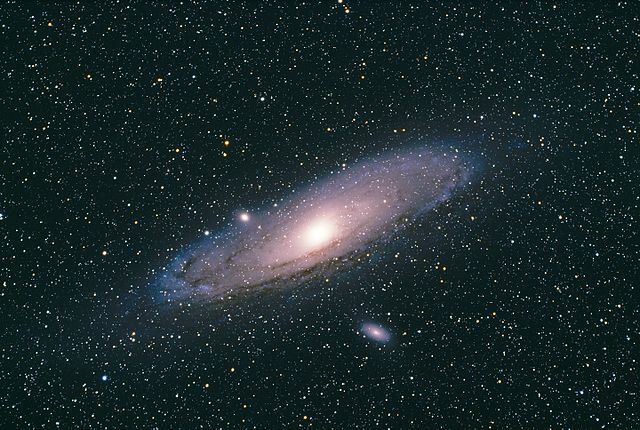 But it was impossible to observe the evolution of the dark spot because there were no sufficiently powerful telescopes. In the mid-1990s, after the correction of the Hubble space telescope mirror, we were finally able to observe Neptune with precision. The big dark spot detected by Voyager 2 was gone. Since that time, dark spots, sometimes as large as the Earth, have been observed to appear and disappear 5 times on the surface of Neptune. It is therefore a recurring phenomenon that would occur once or twice a decade. Each time, the dark spots are accompanied by clear clouds. In fact, the clouds seem to even precede the arrival of the dark spots. For example, we began to observe clear clouds in 2015, and a few years later a new dark spot appeared. These dark spots are thought to be large vortices somewhat similar to the Jupiter phenomenon. As they appear and disappear quickly, this is the perfect opportunity to understand how these structures form and dissipate. The Voyager 2 space probe approached Neptune and Uranus in the late 1980s. While Jupiter and Saturn had dedicated orbiters, the other two giant planets of the solar system remain almost unexplored. Neptune is an ice giant. Its atmosphere contains large amounts of volatile materials, such as water or ammonia. This gives Neptune its unique bluish color. We do not yet fully understand the story of the creation of the ice giant and the mechanisms that animate them. However, a large part of the exoplanets that we discover belongs to this category. Neptune is 17 times the mass of the Earth and has a diameter of 50,000 kilometers. The days on Neptune last between 16 and 17 hours. With its 29 degree tilt, Neptune is quite similar to Mars or Earth. Neptune has 14 moons. The average temperature of Neptune is the coldest temperature that has been recorded on a planet. Neptune, like Uranus, is quite unknown. Yet it is important to know it to understand the history of our solar system and of other systems. They are logically priority exploration targets. The problem is that Neptune and Uranus are very far away from the planet Earth. They are four times farther from Earth than Jupiter. The space probes Galileo and Juno took about five years to go into orbit around the gas giant. With our current means, we can’t hope to make such a travel in an acceptable time. Without gravitational assistance maneuver, we estimate that it would take about 15 years to reach Neptune. However, there are orbital mechanics. The outer planets of the solar system take several decades to complete their orbit. They are therefore not often properly aligned to allow such a trip, at best several times each century. So we imagine that a spaceship launched towards Neptune would do at least a gravitational assistance maneuver around Jupiter. This allowed New Horizons to accelerate by 20,000 km/h and reduce travel time by 3 years to Pluto. But it is important that a space probe does not take too much speed. To be able to put a space probe into orbit of one of the ice giants, it has to slow down on arrival. An orbital insertion maneuver costs more propellant when a space probe arrives at high speed. The problem is that a space probe has to go fast because long trips have an impact on the reliability of the machines and on the efficiency of the plutonium that supplies the power. If a space probe go too fast, the orbital insertion maneuvers become too expensive. This equation was difficult to solve for Cassini, which loaded more than three tons of propellant for its orbital insertion around Saturn, making it one of the most massive space probes ever conceived. The simplest way to reach Neptune would be to abandon the idea of ​​putting a space probe into orbit, and to be satisfied with an flyby. It is then sufficient to accumulate as much speed as possible during the initial thrust and to make different gravitational assistance maneuvers. We could then hope to join Neptune and Uranus in ten years with a relatively light spacecraft. The scientific results, however, would be rather weak since we would only reproduce the flight of the Voyager 2 spacecraft. We should focus on Neptune while neglecting its moons. This represents a very important delay compared to the scientific results that we could have. Such a mission remains possible with a budget of just over $ 1.5 billion. The other solution would be to pay a lot more for designing a spacecraft of 4 to 7 tons that would take 12 to 13 years to join one of the ice giants and get into orbit. With several years of study on site, the scientific results would necessarily be more interesting. In 2010, NASA commissioned a study on several scenarios. The launch window to benefit from Jupiter’s gravitational assistance and to join Neptune is between 2030 and 2034. We can imagine doing a double launch of two spacecrafts towards the two objectives. This would be possible provided we use a heavy launcher and we agree to spend a lot of money. To maintain optimal performance on the RTG, the entire mission should extend over 15 years maximum. The choice of propulsion could be mixed with ionic propulsion during the first part of the journey then chemical propulsion from six astronomical units of the sun. NASA has identified 12 major scientific goals for such a mission : to understand the inner structure of the planet, its composition, to measure the movements of the atmosphere, to identify the moons, etc. Of course, all of these goals require the use of different scientific instruments. The budget will determine whether to launch such a mission with two massive orbiters launched simultaneously to Neptune and Uranus. They may be equipped with an atmospheric probe, in which case the scientific results could be huge. It seems more likely that NASA will choose to focus on either Neptune or Uranus because of the cost of such a mission. It is also possible that the US space agency offers Europeans to work with them. Whichever option is chosen, a mission to Neptune or Uranus will require technological choices. The double propulsion system would require a double power supply, solar panels and a RTG for example. The solutions put forward in the study commissioned by NASA require few new technological developments, which may allow NASA to validate them in the near future. In early 2021, NASA’s research priorities will be set for the next 10 years. 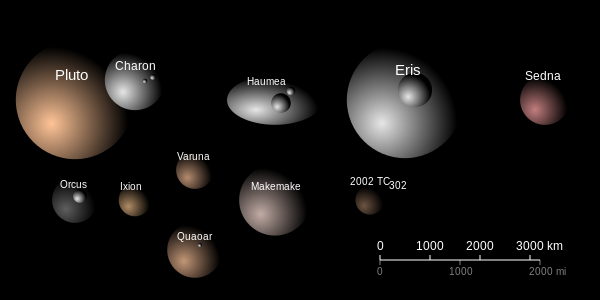 If ice giants exploration is listed in NASA’s priorities, then such a mission could have a large budget, which would make it possible to consider sending one or two orbiters to Neptune and Uranus. On Earth, it’s raining water. On Titan, it’s raining liquid methane. And on Uranus and Neptune, it’s raining diamonds. Diamonds are supposed to form in the atmosphere of these gaseous giants. But for the first time, the extreme weather conditions of these environments could be recreated on Earth. Researchers from Stanford University are at the origin of the experiment. To simulate the pressure of the atmosphere of a gaseous giant, they used ultrashort laser pulses. The target of these lasers was a polystyrene that contained hydrogen and carbon. The theory is that these two elements, when put to a temperature and a sufficient pressure, can form diamond. This is indeed what the researchers in charge of the experiment observed. On Uranus and Neptune, the conditions for diamond formation would occur around 8000 kilometers from the outer boundary of the atmosphere. The diamonds would form in a few thousand years and could reach a weight of several million carats. They would then flow to the center of the planet. So we imagine that there is a huge treasure in the heart of these gaseous giants. Unfortunately, it is a treasure that will remain forever inaccessible because the pressure and temperature conditions prevailing in these areas would crush the imprudent approaching. The method used by researchers at Stanford University, however, has the merit of being able to be used to synthesize artificial diamonds. These hidden diamonds can never be seen, but understanding how they are formed allows for a better understanding of how gaseous giants work. It remains, for example, to discover what happens to these diamonds in the deeper layers of the planets. 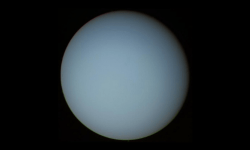 There would be on Uranus a cycle of diamonds comparable to the cycle of water on Earth. Our own solar system still holds many surprises. It also reminds us that Uranus and Neptune are still very unknown worlds. Only the Voyager 2 space probe flew over them. We also know very little about their moons. It’s a pity to leave these worlds as fantastic without any space probe to inform us. No mission is currently planned for Uranus or Neptune. We must therefore be satisfied with observations using telescopes. Hopefully one day a space agency will bother to put a space probe into orbit around one of these two worlds.